Carlos Trujillo is a Partner at Uhthoff in Mexico where he leads the Copyright Department which he has over 20 years of practice experience. He oversees all matters related to legal counsel and accurate approaches for the protection and enforcement of artistic and literary works, with particular emphasis on software; serial publications whether printed or electronic; artistic names and characters. He counsels clients on legal aspects of artists and related rights, as well as on matters connected to publicity and image rights. Carlos also specializes on the analysis, drafting and negotiation of contracts in the IP law field, including technology transfer and licensing agreements. He has also a wide experience designing strategies for the protection and enforcement of industrial secrets. 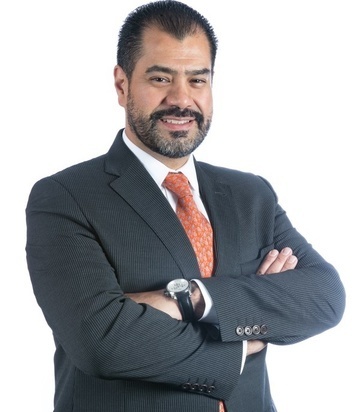 Carlos joined Uhthoff in 1995 and was appointed Partner in 2002. He holds a Law Degree from Universidad Iberoamericana, and Industrial and Intellectual Property Law, Financial and Commercial International Law, Labor Law and Constitutional Appeal Graduates in Universidad Panamericana in Mexico City. Carlos is fluent in Spanish, English and French. Carlos is an active member of the Mexican Association for the Protection of Intellectual Property (AMPPI) where he is the current President of the Copyright and Related Rights Committee, the International Trademark Association (INTA); the Mexican Bar Association (BMA), Licensing Executive Society (LES) and the National Business Lawyers Association (ANADE)where he is the present Coordinator of the IT and Data Protection Law Committee. Author of several papers of IP-related topics and lecturer in Universities, Private and Public Associations about copyright and licensing legal issues.